I’ve decided to get a motorcycle for the 2013 riding season. I never had my own ride and pretty much the only motorcycle I’ve ridden in my life has been my father’s ’94 Honda XR250 seen below. But that Honda is gone now and time has come for me to get two-wheels of my own. Question is what type of a motorcycle do I want? Many hours of research later, I have come up with my top 3 motorcycles, and here they are in order of their relative cost. 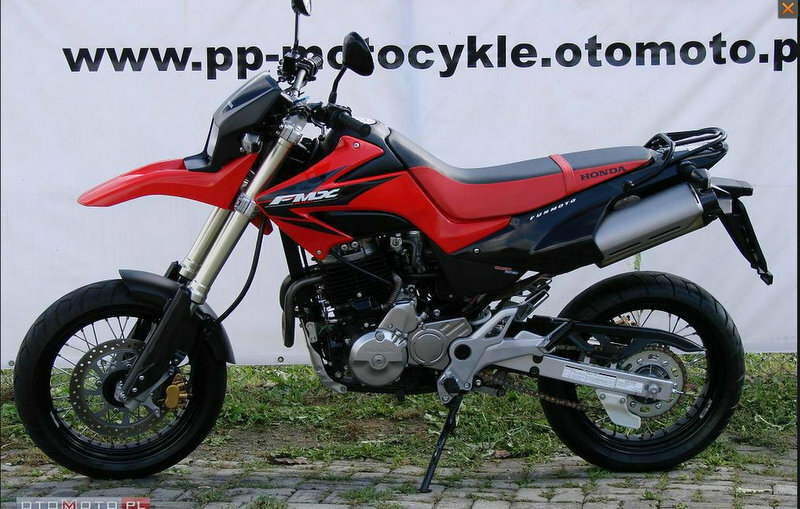 Getting this Honda FMX 650 would be a very progressive move for me. It’s literally the XR250 I’m already used to just taller, with a bigger motor, and more street friendly than the enduro I once rode. It also has that very cool agressive look that I just can’t get enough of. One negative though: it’s a great city bike, but that’s about it. With a relatively small fuel tank and supercross seat long haul trips are definitely out of the question. But will I ever want to ride long haul trips? This bike has been recommended to me by a coworker who thinks this should be my number one. He rides thousands of kilometers a year and often does long range out of the country trips with his motorcycle buddies. And I’m hooked. It’s got a very comfortable seat, it’s extremely durable and proven to be one of the best touring motorcycles on the market, and it’s just the right fit for someone like me with an 80% street/20% off road demand out of my future motorcycle. The thing is, this bike is big! Not too big, but it makes the FMX above seem like a toy. So do I want to go big or just a quick town rocket? My third choice is going a different direction entirely. A strict city cruiser, this would be a great classic to ride. It would also be the most expensive option as there aren’t too many of these on the used-cycle market in Poland. The classic look and feel just hooks the eye and I spent a good 20 minutes sitting on the newer Kawasaki W800 at last year’s EICMA show in Milan. It felt so great I didn’t want to get off. My dilemma? Well, while I really like this classic look I’ve always been attracted to the enduro style and I’m not sure if I want to let it go. It’s January which means I have about 3 more months to think this through before Poland’s warm enough to ride. I plan on test riding every single one of the motorcycles mentioned above which may square me away as to what to get. But I have a feeling I will enjoy them all, and then what? Any suggestions? 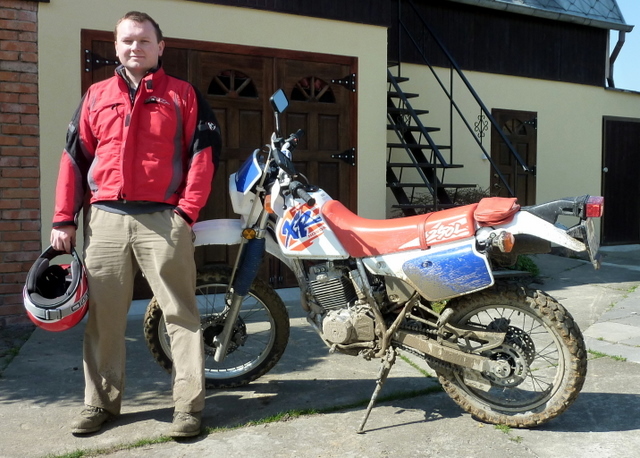 Is there much room for off roading in Poland and surrounding countries? If so – and you would use it often, the Honda. It would need different tires though. Otherwise you are on your own with the decision. Get all three……. To me the V-Strom is a big, heavy bike. Good for long, straight roads, but not so fun on twisty mountain roads or tight city traffic. Have you looked at an SV650? It’s got the same engine but weighs 32 kg less. Put some Avon Distanzia’s on it and you can handle a few dirt roads no problem. The supermoto looks like fun. I can tell you that my DRZ puts a huge grin on my face every time I ride it, but yeah, I wouldn’t want to spend more than a couple of hours on it at a time. Can you get an aftermarket seat for the FMX? 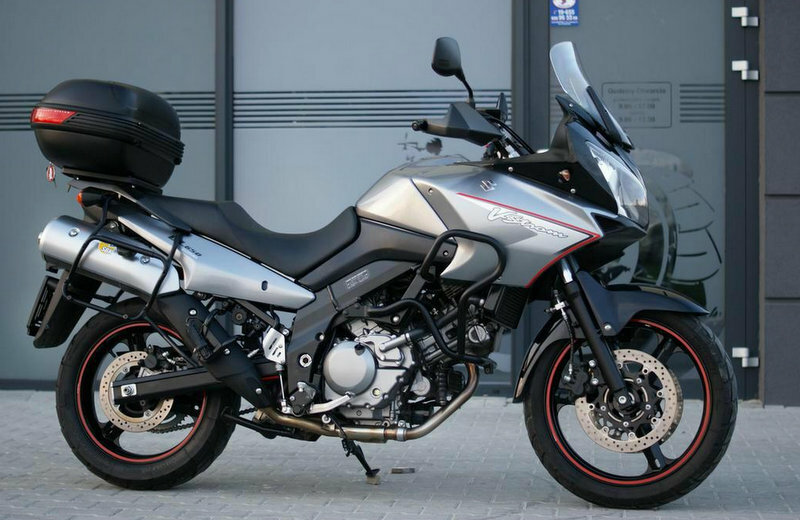 Also, what about a 2000-2007 BMW F650GS? Are they available in your price range? Try out looking at the Triumph Scrambler. 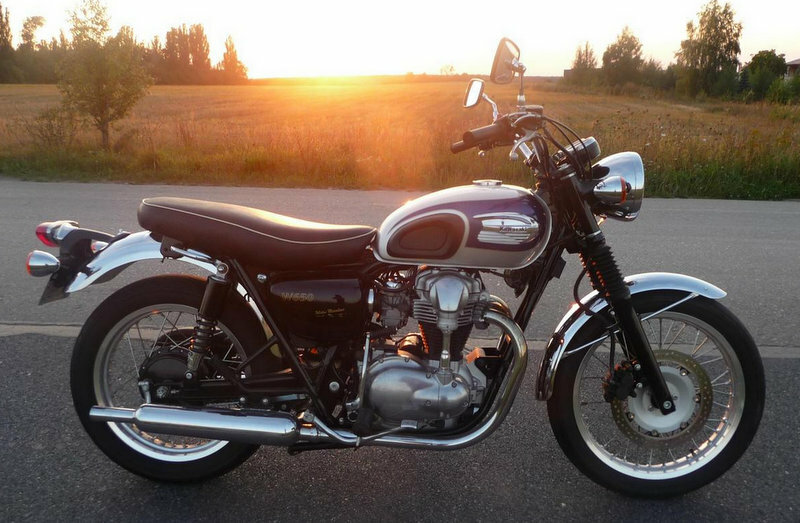 It has a few off road features that the Bonneville doesn’t have but is just as cool. Also remember that now may be the best season to pick up a secondhand bike, since prices will go up once the sun is back in the country!